My daughter is an Army Cadet so she was marching in Rotherham Town Centre with her detachment. I thought it was importance to be somewhere where I could remember those that have made the ultimate sacrifice not just in WWI but in all subsequent wars and conflicts, even though Rags was participating I would have attended an event anyway. Some say young people don't know or respect the past but I saw today a lot of young people in uniforms (Army, RAF, Navy, Scouts, St John's etc) doing just that. Probably more than most adults. Whilst the cadets and ex-servicemen packed out the town's Minster we went for a cup of tea in the local Weatherspoons (free refills). The pub was probably packed with as many servicemen as the Minster as they sipped pints of beer at half nine in the morning (!) whilst proudly wearing medals on their chests. 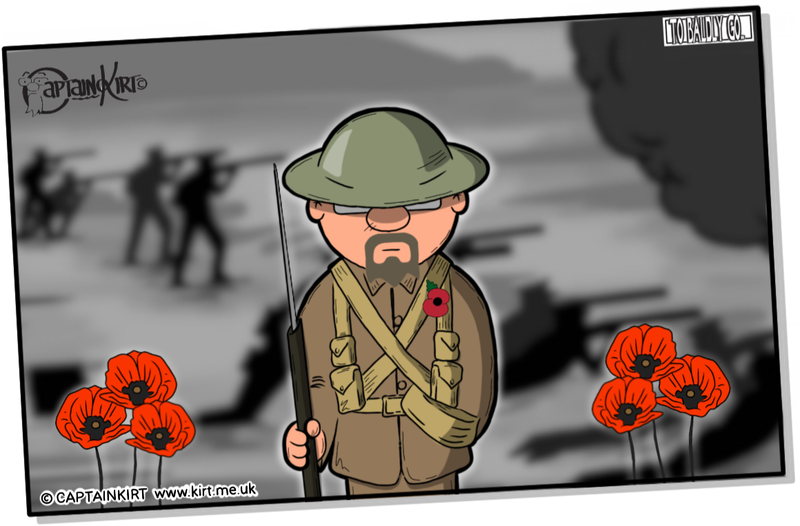 There were signs all over the establishment that stated they would be observing the 2 minutes silence on the eleventh hour. When the time came the building fell silent as customers and staff bowed their heads in silent reflection.... That is except one family who continued to eat and talk through the entire thing. 2 minutes isn't a lot to ask is it? 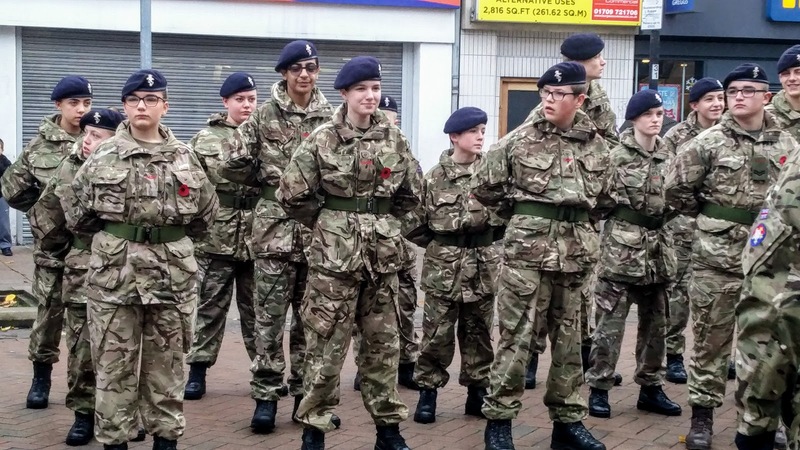 Shortly after 11am the contingent marched back towards the town hall having previously marched to Clifton Park to lay wreaths on the War Memorial there. 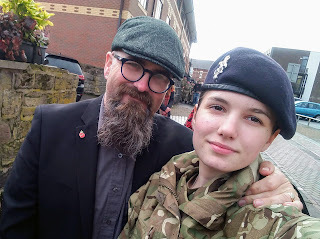 I am proud of Rags and her service to the British Army Cadet Force, more than I can express but I'm also thankful to all those men and women who gave everything so we can live our lives free.